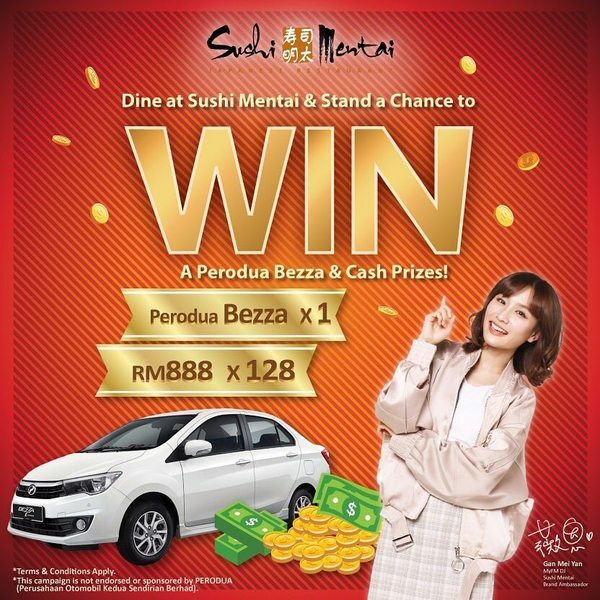 Sushi Mentai New Year Lucky Draw, visit your nearest Sushi Mentai now, spend RM100 and stand a chance to win a Perodua Bezza or RM888 cash! Spend a minimum of RM100 at any Sushi Mentai outlets located in Malaysia. Take a photo of your original tax invoice. Log on to www.sushi-mentai.com/luckydraw or scan QR code to log on to the website.